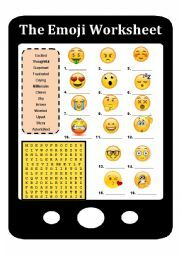 This is a simple worksheet that can help improve our students vocabulary by using emojis. Please let me know if everything downloads ok. 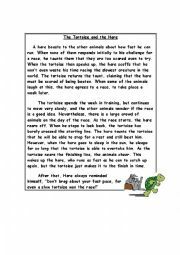 This file contains 6 fables: The Tortoise and the Hare, The Ant and the Grasshopper, The Cat and the Fox, The Crow and the Pitcher, The Fox and the Goat, the Fox and the Storck. Use them to teach the elements of a short story. Students should be able to identify plot, characters, setting, and theme. 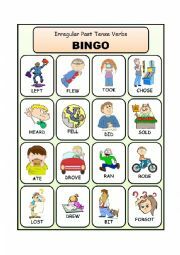 This file contains bingo cards with irregular verbs. Calling cards were published 2 days ago. 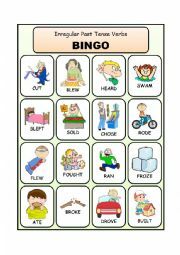 The rest of the bingo cards will be posted in the days that follow. Have a wonderful day! 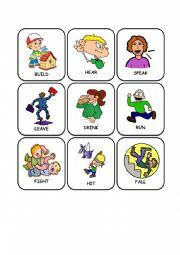 This worksheet is to practice simple present by writing affirmative, negative, and interrogative sentences. You can use this worksheet to accompany the ppt that I uploaded today. 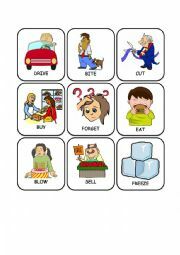 This is a simple worksheet that can help improve our students vocabulary. 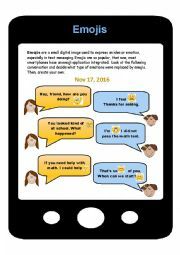 It also comes with a blank template so students can write their own story using the emojis. Hope you like it. 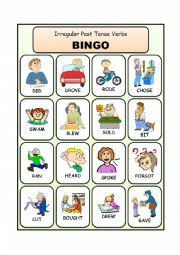 These are the ACTUAL BINGO cards for irregular verbs. I apologize for putting everything in parts. Due to the size limitation, I could only do it like this. I will post the remaining bingo cards on the days that follow. I hope this is useful for your students. 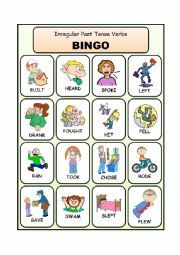 These are the calling cards for a bingo on irregular verbs. I apologize for putting everything in parts. Due to the size limitation, I could only do it like this. I will post the bingo cards on the days that follow. I hope this is useful for your students. This the 2nd part. Part ONE was also uploaded today. This is part I of the ppt. Please also download the accompanying sheet for the students notes, which was also uploaded today. This is part II of the ppt. Please also download the accompanying sheet for the students notes, which was also uploaded today. This powerpoint introduces drama vocabulary on ESL intermediate or beginner classes including theme, setting, plot, dialogue, playwright, etc. A simple presentation to review possessive adjectives. I hope this is useful. Have a wonderful day! If you download this ppt, please look also at part I. I had to split due to the size allowed by the website. Have a great day! This powerpoint will help you introduce terms before going into drama. 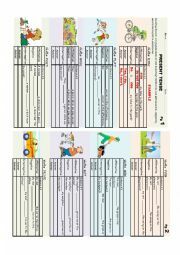 Download, the the notes worksheet that accompanies this ppt. This will help students be focused and follow you along as you present.